11 Days 10 nights in beautiful Costa Rica! Warm up in the middle of winter! Beaches, Jungles, River trips, Culture and lots of Birds and Wildlife! 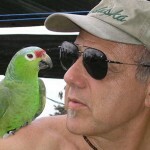 Jim and Kathy will be sharing photography tips as well as their knowledge of birds, wildlife and Costa Rican travel. This adventure is limited to 12 explorers for a more personal experience. Jim and Kathy have been traveling to Costa Rica since 1994 and have explored boarder to boarder and coast to coast. They have included their favorite places in this adventure of a lifetime. You will see and do more in 10 days then you can imagine! This is an Eco Adventure – Includes everything Costa Rica, from mountains to beaches, from rural towns to rain forests, wildlife, birds, beautiful scenery, hanging bridges, butterfly garden, culture, volcanos, and a sunset boat tour that past participants exclaim is a major highlight. This expedition is for everyone. If you are a photography enthusiast then you know that rain forest photography is challenging. Jim will help you get great tropical images. We pick you up at Juan Santamaria International airport (SJO) or provide transportation to your Hotel. The smells and sounds remind us we aren’t in Kansas anymore, Toto. A good nights rest is needed for our Adventure to begin. No meals. In the morning we enjoy a scrumptious Costa Rican breakfast at the hotel. Birds sing and give us a sample sonata of what is to come. As we eat, our guide and driver loads our luggage onto our private bus, ready for our first days adventure. We sightsee north along the Pan-American Highway on our way to San Ramon where we turn off the highway and head up the mountains toward La Fortuna. The road leads us past fincas, plantations, and small villages. We stop for photos and memories along the way. Magnificent views await at every turn. We enjoy a tipico Costa Rican breakfast at a local restaurant then off to our next adventure. We visit the Butterfly Conservancy. We enjoy a box lunch as we watch Volcan Arenal. We hear a rumble as the volcano erupts spewing rocks and lava. No worry, we are at a safe distance. Breakfast at El Jardin’s restaurant then off to the coast. Sightseeing along the way we stop at a fruit stand to try some of the many different fruit that grow locally. Fresh off the farm, picked ripe, the juices run down our chins as we experience new flavors. We laugh at each others dripping face. We make a couple of stops along the way at some favorite hang outs for local wildlife. Surprises await. Lunch is at the Tarcoles River. The food is exceptional. The experience is memorable. We try local fruit drinks and contemplate why we don’t have them in the U.S..
Up early for breakfast at the hotel to sustain us for our jungle hike into Carara National Park. The cicada’s song drowns out our own thoughts as we venture into an amazing environment of exotic plants and trees. A scarlet macaw feeds on the dates of a palm while crocodiles float past the shore of the Tarcoles River. Iguanas rustle the undergrowth startling us. After our hike we have lunch and a swim at the hotel pool. Ready for our next adventure? We are into the rhythm of Costa Rica now. Next stop, the most beautiful National Park in Costa Rica, Manuel Antonio. Lunch on one of Costa Rica’s most beautiful beaches is only overshadowed by the antics of white-faced Capuchin monkeys and 3-toed sloths. The monkeys attempt to steal food from an unsuspecting tourist, and sometimes they succeed. We snap lots of pictures of these curious primates then jump into the warm waters of the Pacific. This morning you are on your own. Grab some pastries on the way to the beach. Photograph monkeys and sloths on the trail, or go for a morning swim. Be back in time for check out. All entrance fees including boat tour, hanging bridges, butterfly conservancy, and National Parks. Tips for our personal local guide and bus driver.